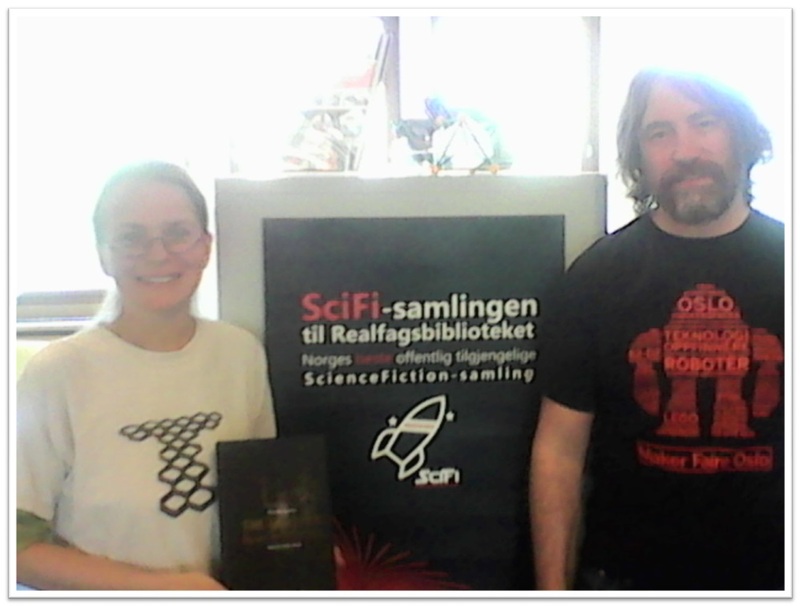 Nowadays the novel “The Monster: Blade of Darkness” is available in on-line bookstores and libraries in many countries of the world. 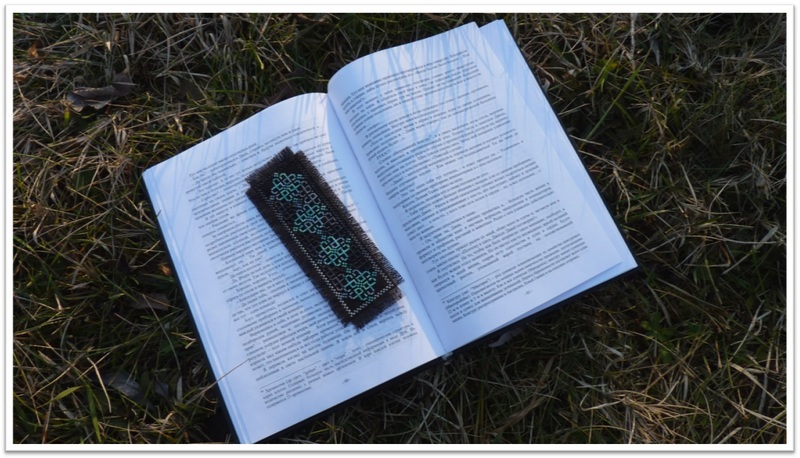 However, the origin of the novel is in Moldova. Therefore, in order to make the book “The Monster: Blade of Darkness” more accessible to Moldovan readers I have decided to partner with the largest on-line bookstore in Moldova, Bestseller.md, and offer it in hardcover and ebook versions to Moldovan readers through them. As a result now you can buy “The Monster: Blade of Darkness” both in Russian and English, as well as in hardcover and ebook formats. Bestseller.md promises fast delivery of the book all over Moldova, and even abroad to other countries. And I promise captivating mysterious adventures on a remote island among the beauty of the nature. So, order your copy of “The Monster: Blade of Darkness” and start enjoying reading it right now! The New Year is approaching fast. Soon we will enter the year 2015 full of new inspiration, creations, challenges, and successes. Great results that are consequences of our actions this year await us ahead. This is true for me and my novel “The Monster: Blade of Darkness” that has been published this year and has already raised an international community of amazing readers. They have given me very good and inspiring feedback, which motivates me to start the second book of “The Monster” trilogy faster. 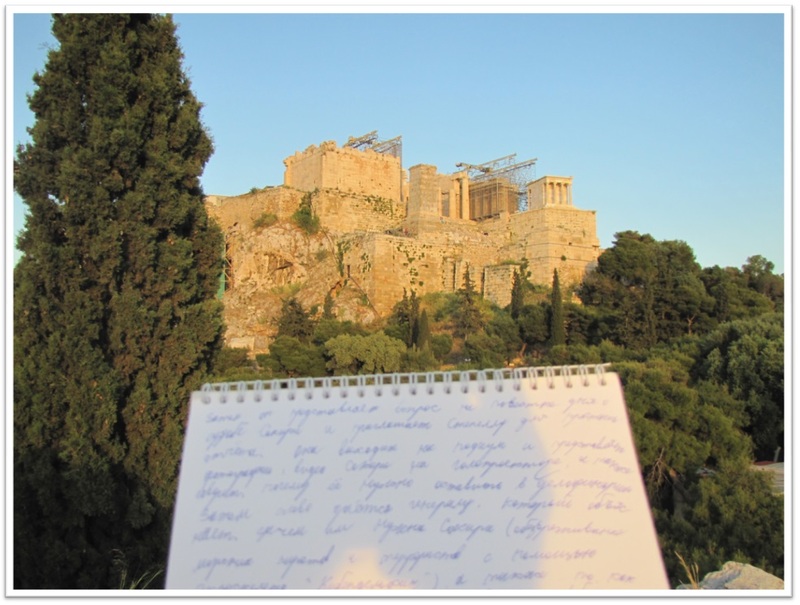 And it is also great to know that some of the readers were so inspired by my novel that they started working on releasing their own literary creations. The year 2015 will bring new interesting results. Before initiating the work on the second book, “The Monster: Armageddon’s Blade”, I intend to write and publish a relatively short side novel entitled “Simply Love”. 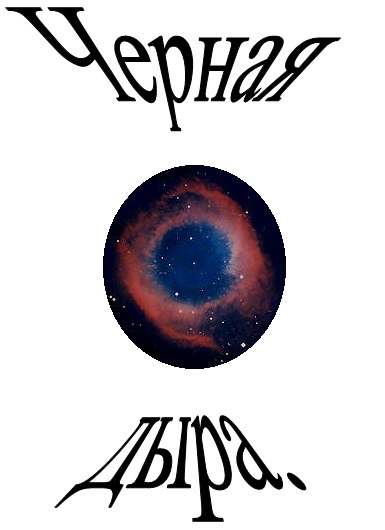 The novel will be included in the book with the same title along with a collection of my love-and-romance poem. 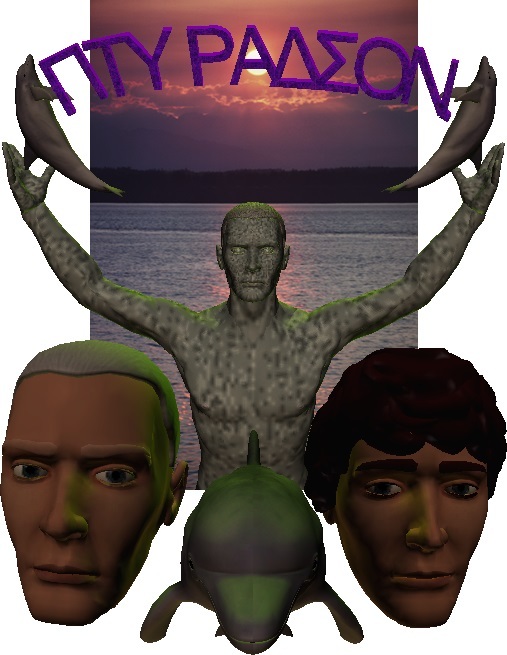 The reason to do that is not only to try to explain the intricacies of love relationships in the modern world, but also to introduce several key characters to be featured in the upcoming novel “The Monster: Armageddon’s Blade”, as well as their life stories, and thus expand “The Monster Universe”. Besides that, the book lovers in Ukraine can expect a special gift in 2015 in the form of the novel “The Monster: Blade of Darkness” in Ukrainian language. 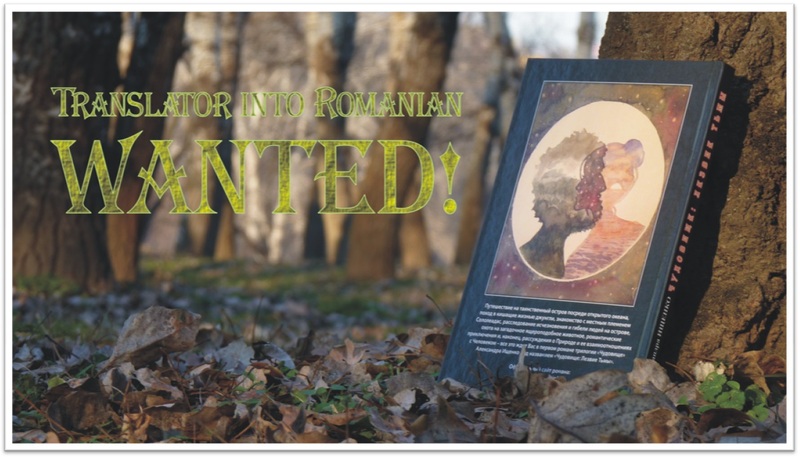 Two of my amazing friends from Ukraine, Lada Merkulova and Aleksandra Polivanaya, have kindly volunteered to bring it to the Ukrainian-speaking readers and have already started translating the novel. Thus the Ukrainian version will then supplement the Russian and English books already on sale and should become available by the end of 2015. And that is not all! There will be much more exciting news related to the novel “The Monster: Blade of Darkness” coming throughout next year. So, stay tuned and enjoy the holiday season! And I wish you a MEGA wonderful, inspiring, and happy New Year! The novel “The Monster: Blade of Darkness” continues to share its incredible adventures and insights about the interrelations between Human and Nature with people worldwide. Now the community of its readers is comprised of more than 40 amazing people from 10 different countries. And all these people have very good feedback on the novel that I share in the Testimonials section of this website and the Facebook page of the novel one by one. 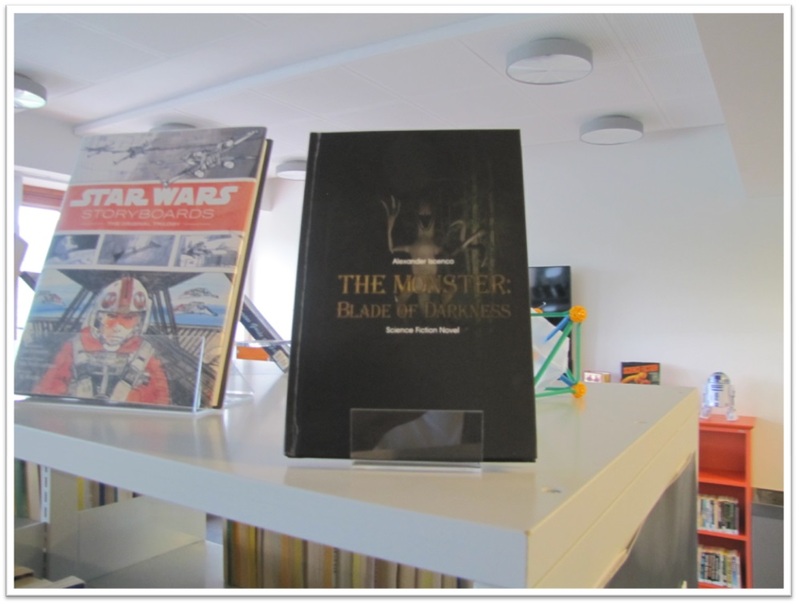 However, if you have not joined this community yet, it might be difficult for you to decide on getting the book “The Monster: Blade of Darkness” without having a look inside it. In order to change that, I have created the preview version of the book with the first five chapters for you to get a feeling of its plot. You can access this version through the homepage of the novel website or directly here. And please share what you think of it through the Contact section of the website! Halloween is approaching. On the 31st of October you will probably see lots of people dressed in ghosts, ghouls, vampires, witches, and monsters celebrating this curious holiday. Most likely the social networks will be flooded with photos of various creepy and creative Halloween costumes as well. This promises to be a true “night of the monsters”. 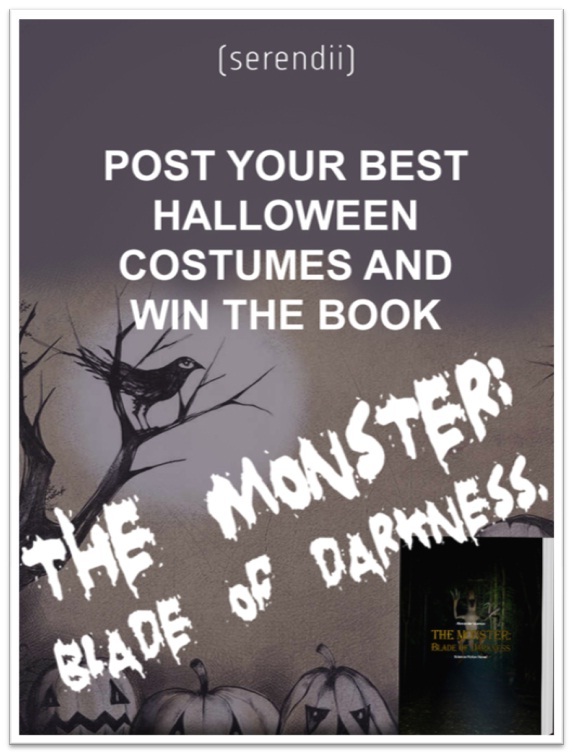 On this occasion serendii publishing, the publisher of the English version of the novel “The Monster: Blade of Darkness” and I, its author, have launched a Halloween competition. We called it #Monster at Halloween. Share this photo on Facebook and Twitter with a hashtag #MonsteratHalloween and collect as many “likes” as possible until the 31st of October. The photo with the most “likes” wins! 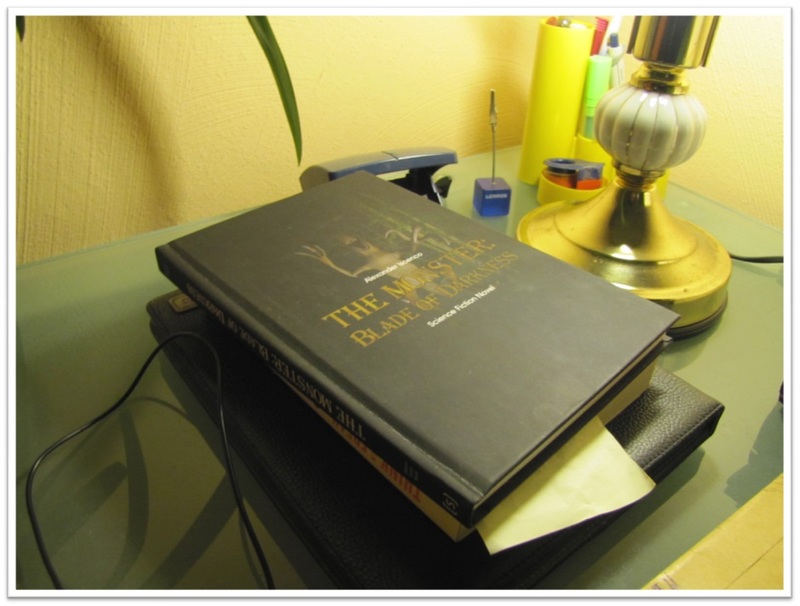 THE BOOK “THE MONSTER: BLADE OF DARKNESS”! 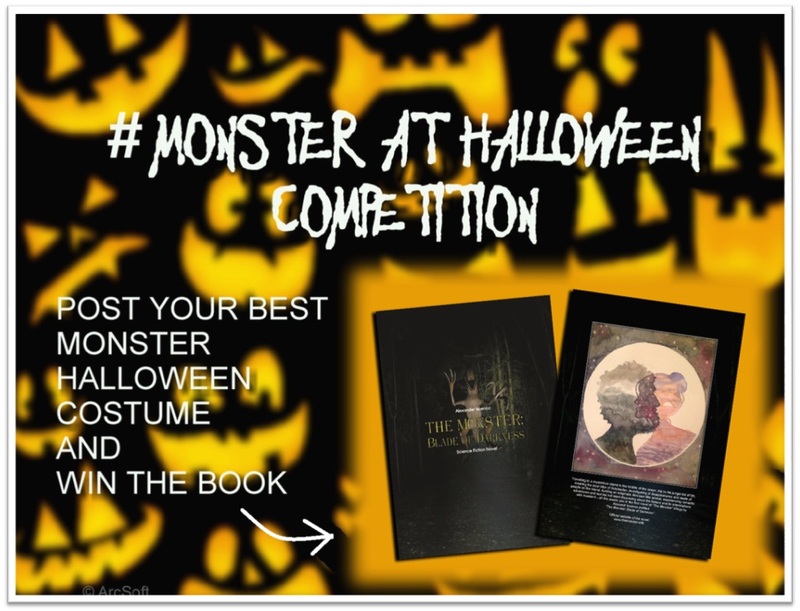 The winner will be announced at the #Monster at Halloween Facebook page and on this blog on the 1st of November. Now, unleash your creativity and SHOW US YOUR MONSTER SIDE!